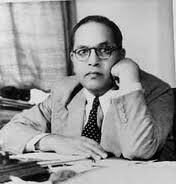 Here all writings and speeches by Dr B R Ambedkar are listed. All of these are in PDF format. Please these with all other interested. This entry was posted on November 15, 2010 at 8:21 pm and is filed under ambedkar books, ambedkar literature, ambedkar sahitya. You can follow any responses to this entry through the RSS 2.0 feed. You can leave a response, or trackback from your own site. Barrister-at-Law (Gray’s Inn, London) law qualification for a lawyer to practice law in royal court of England.